On Thursday, March 6, 2014, students gathered in the lobby of the New Academic Building at 5PM for an event called Feed 50. 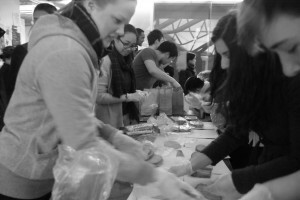 Feed 50 is an event held by Cooper Union’s Intervarsity Christian Fellowship that is modeled after a larger-scale work done by New York City Urban Project called Feed 500. 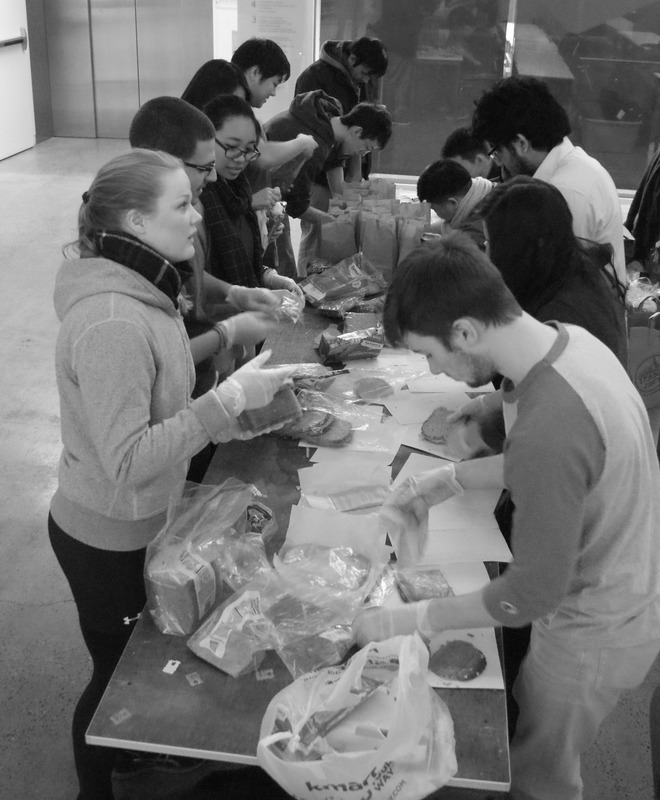 Feed 50 works to help the less fortunate in the community around Cooper Union. Student met at 5 PM to pack lunch bags consisting of a cold-cut sandwich, water bottle, and some candy. Students also included some encouragement cards and a slip of paper with the nearest churches and shelters that work with the homeless. After the lunches were packed, the students each took two lunches with them – one for the less fortunate and one for themselves. Not only were they tasked to give out food but were also encouraged to sit down and chat with them, pray with them, and to get to know them. Around 6 PM, the participants ventured out, going all the way to Union Square and Alphabet City to share the lunch bags that they packed.